Q-Shield™ insulation solutions are used on generators and various types of standing equipment of all sizes. Solutions are available for both generators used inside facilities and as well as units that are used permanently in the field. Engine & exhaust heat control are critical areas in controlling and managing high levels of heat We will insulate the key components to provide appropriate levels of heat protection. Thermal insulation on generator sets is essential for reliable performance and long-lasting operation. At QUSA Thermal, Inc., we manufacture insulating systems that meet specific requirements based on each genset configuration, taking into account factors such as the heat profile, the dimensions, and whether it is installed indoors or outdoors. 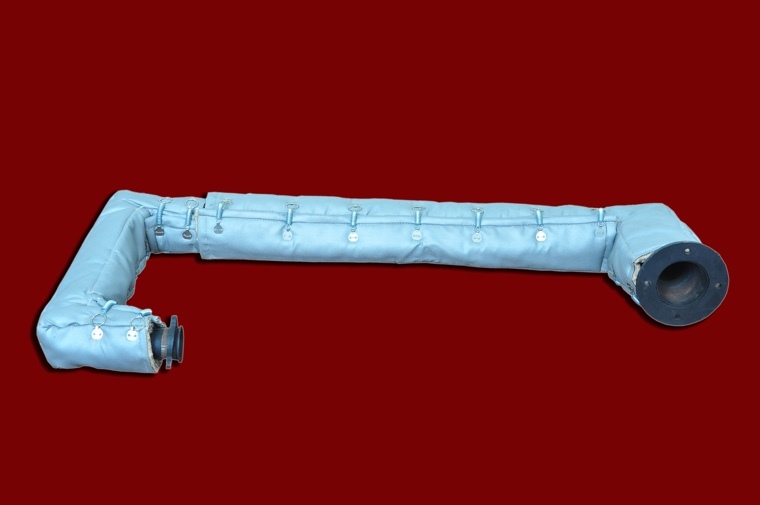 One example is the exhaust pipe insulation shown in the photograph. In this situation, excessive heat from the exhaust pipe was impacting the performance of the air intake system and causing harm to users. 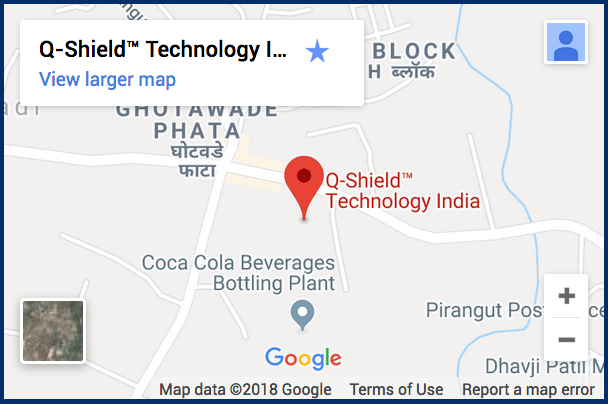 Since a cooler air intake system results in better genset performance and reduced risk of worker injury, we leveraged our Q-Shield™ technology to design a solution. Our design engineers developed a test cell to analyze the heat levels and determine the shielding requirements. Results of our analysis showed that the exhaust pipe was reaching temperatures of up of 550 ºC (1022 ºF). 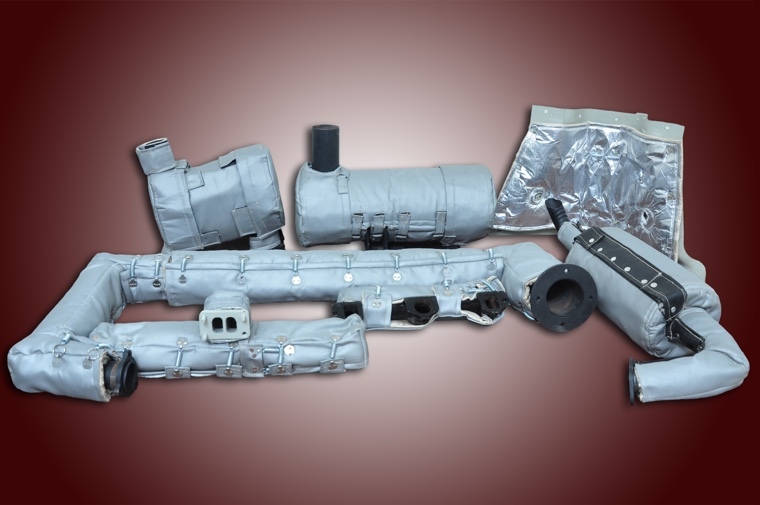 To address the issue, we manufactured a custom a Q-Shield™ exhaust pipe insulation that featured four layers of heat shielding material and includes a durable cover fabric that protects users from burns if they accidentally come into contact. 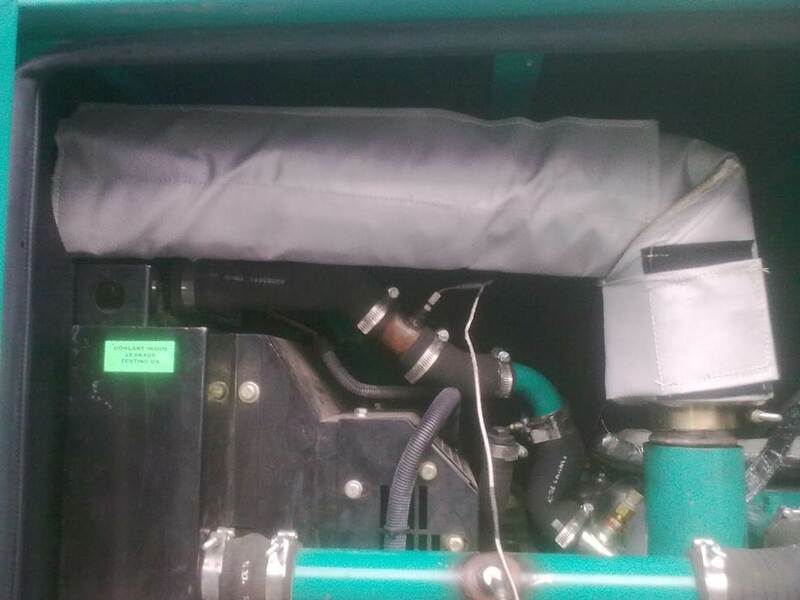 Once we installed the cover, fired up the genset, and recorded the temperatures, results showed that temperature of the exhaust pipe dropped down to 90 ºC (194 ºF). In addition to improving the operation of the air intake system, our custom solution reduced the risk of worker injury and protected sensitive genset components from excessive heat exposure that could cause them to fail prematurely. The exhaust pipe insulation is easy to remove and reinstall for servicing. Our Q-Shield™ technology played a vital role in improving the performance and extending the service life of this genset. Contact us directly to learn more about our custom thermal insulation solutions for generators and gensets or to make an inquiry.